Running to the grocery store or running to do a quick errand with our little ones when suddenly its meltdown time. Everyone within a couple mile radius can hear the crying, whining, stomping and pleas from your child. And nothing will stop it! It’s not only uncomfortable for everyone present but frustrating when you are trying to get things done like buying food to make dinner that night – you can’t just walk out of the store with no groceries. We all had our fair share. Sometimes, there seems there isn’t a way to get thru the checkout line without tears and loud cries. Grocery stores don’t help matters much when they display every possible candy bar right at eye view and then have lollipops right by the register! Experience is a great teacher! 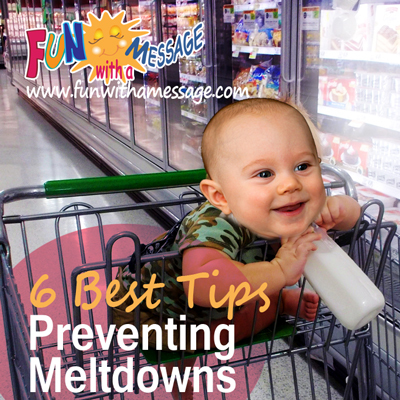 We’ve learned a few tricks along the way to prevent meltdowns when we are out and about. I certainly hope these will help you as much as they have helped us. Would also love to hear your tips and tricks. Little ones do understand much more than we give them credit for. If we explain and reason with them, they will understand what is expected of them and what’s the purpose of the trip. For instance, when I have to take my little one shopping for a birthday party gift, we talk about the joy of giving to others and I emphasize that this time we are only buying a nice gift for a friend and not buying for ourselves. So set expectations before you get there and rehearse while getting out of the car. Run errands after nap times (ideally). Know your child’s schedule and try as much as possible to go either long before naptime or after napping. A tired baby or toddler won’t be happy customer. Tired toddlers don’t want to walk thru store aisles. Instead they want to be carried. Quite difficult to do when you have a baby and a shopping cart to handle. Go to the store after meal times. We’ve all heard this simple rule before: don’t got the grocery store on an empty stomach. Hungry little ones will reach for everything and anything in sight if they’re hungry . Not to mention they will get grouchy (hmm…. that sounds like me when I’m hungry!). Coconut milk or almond milk. Natural Protein Bar: I make sure to read labels – no junk ingredients for me or my kids! Look for bars that contain no corn syrup, no artificial flavors or colors. Note: Good protein bars can be a bit on the expensive side so I get them on sale and stack up! Rewards for good behavior work great for us! A sweet but healthy snack so we don’t have to get the first lollipop we see at the entrance or checkout counter. These will satisfy the sweet tooth without giving them a sugar high and a crash later. Keep in mind, they shouldn’t contain artificial dyes or you will have a hyperactive kid in your hands. You can read more about it here. 5. 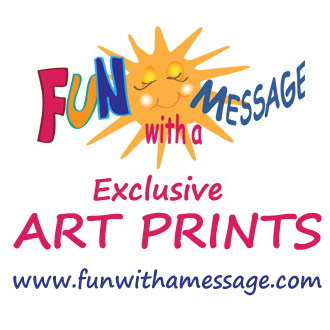 Keep a fun toy for entertainment in your bag. Having a ‘surprise’ toy can make a big difference for your child’s attitude in case that doctor’s appointment goes too long. As they are getting bored sitting and waiting, putting out that fun toy will help keep them entertain for a while longer. Just keep a small one in your bag that you can carry at all times and one they haven’t gotten tired of (a toy hidden for a while becomes ‘new’ again). You can also keep in your bag, small new toys from the dollar store. If its new it will capture their attention. If we on going to a restaurant, I pull out the crayons and a pad of paper in case the restaurant doesn’t offer some. Waiting for food on an empty tummy makes any child grumpy. 6. Catch them before the point of no return..
What is the point of no return? When your child is in full fledged meltdown mode. Then its too late too try and reason with them. If your child starts to get antsy, stop what you are doing and pay attention to them. Are they trying to ask you a question or are they frustrated about something? Just giving your children your unpided attention for a few minutes and making eye contact with them can subdue a meltdown in progress. Reassurance and empathy go a long way: acknowledge their feelings reassure them everything will be ok. I thank you for the advice. This is so especially important when you are away from home, and they are more irritable. I’m so glad mine are grown up. I tried to shop alone when possible. And, don’t give in to the tantrum. They want a reaction. Thank you for the great tips. Always in need of these tips a times. Great tips for making life easier with little ones. These are great tips. Nothing like a meltdown in the middle of a grocery store. These are great tips! Another is to make an educational game of the errand. Have your child point out everything circular, or look for the letter B on labels. It makes the time pass much faster for them! These are great tips! My 18 month old is actually really good for about 45 minutes before he’s ready to get out. So if we’re going to be longer than that I know I need a really great distractions Thanks for linking up at MeetUp Monday! Hope to see you tomorrow! I have three kids 12, 10, 10 and 3 and I still use all of the above for them! Well… except the toddler toy for the older three. LOL Instead, my cell phone filled with game apps has come in handy! Visiting from Linky Party! Great tips! I especially love that you say to catch them before the point of no return. So true! Good tips. I always find talking to the children about expectations before we go really helps and taking a toy to keep the busy. Great tips. 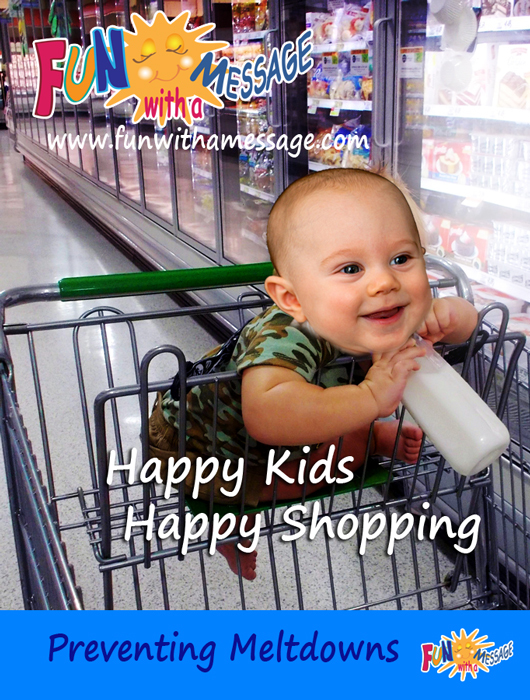 Shopping with my twins turns into a disaster on most days, so will definitely try remember all these tips. I love these tips, especially the one about catching them before the point of no return. It’s a great idea, and one that I will definitely close attention to the next time my daughter and I are out and about. These are great tips! Catching them before the point of no return is so important. Thinking back I know there have been a few meltdowns I definitely could have avoided had I been able to do that. I’m much better at seeing the signs these days! This is good advice. All very true from my toddler experiences!! 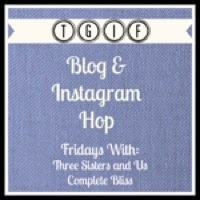 Visiting you from Manic Monday’s Blog Hop. Great ideas here, particularly in terms of setting expectations as far as you can, and going when there isn’t a danger that they are going to be tired. Very important one! Thanks so much for linking up to the 100th parenting pin it party. These are great suggestions! As I am on my way to church, I realize that there are some great suggestions for Sunday Morning Success as well. Thank you so much for sharing and linking to Motivate and Rejuvenate Mondays! God bless!